The project is a home automation system that uses DTMF connection to control the home appliances remotely. It overcomes the limitations of conventional wall switches that have to be operated by physically going near to then and switch on the button. 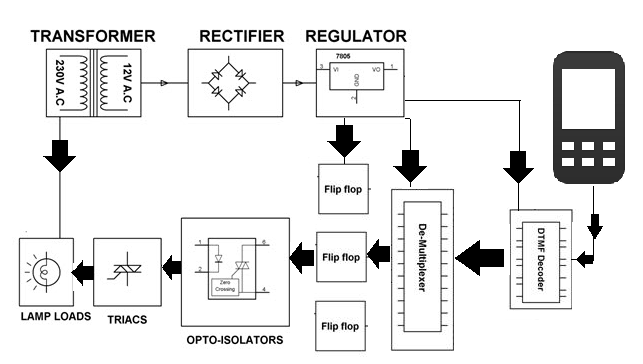 The system uses DTMF by which one can control home appliances by dialling the designated number for particular load. One can operate it from home phone or by making a call to home number from outside. The system uses DTMF technology that receives commands from phone and produces digital output which initiates relay driver to switch ON/OFF the load appliances. 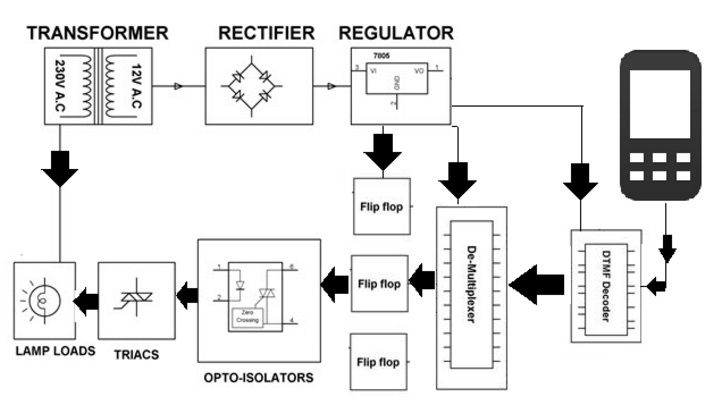 For this the system we use De-Multiplexer, flip flop IC, DTMF Decoder. This DTMF technology allows the user to send commands to operate the appliances via a mobile phone and avoids the use of microcontroller. In order to use this system the user has to make a call to the mobile phone connected to this system. Once the call is received by the mobile phone connected to the system, the user can now send commands to operate the home appliances. 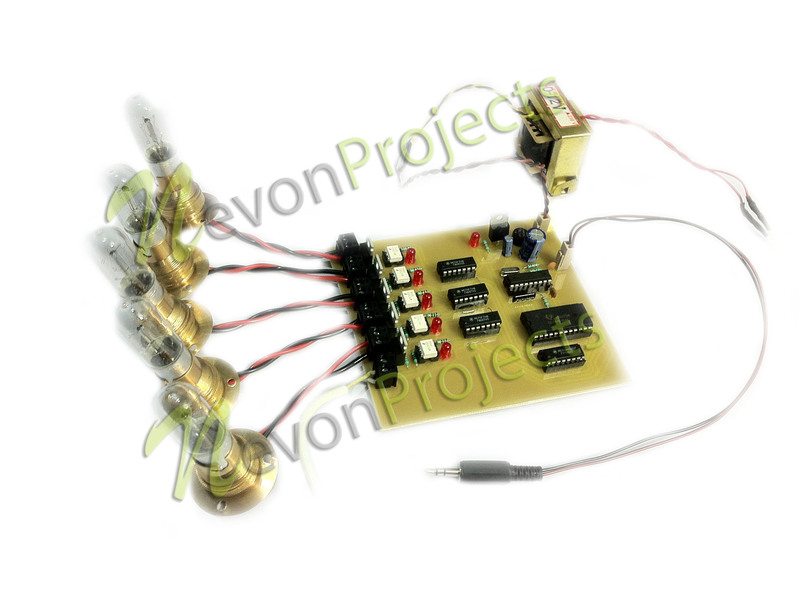 For this the system makes use of lamps to demonstrate AC loads and uses 12V transformer to power the system.